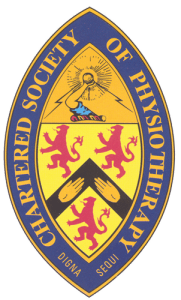 We offer high quality personalised, hands on, evidence based physiotherapy treatments, injury prevention advice and exercise programmes in spacious well equipped treatment rooms that will best optimise your recovery. Treatment is available for all ages and conditions from the highly specialised to every day concerns. We are registered with Bupa and all major insurance companies and rehabilitation companies. Referrals from Consultants, GPs, Health Professionals, Solicitors, Insurance & Rehabilitation Companies and Self-referrals are all welcome. Clinic hours are flexible to fit in with your busy lifestyle from 8am to 8pm with weekend appointments usually available. Home visits are also possible if you are unable to attend the clinics. If you have any questions or would like to book an appointment please phone 01702 421467 or 07850 612232, or email rosalindmurdoch@btinternet.com or physio@rosalindmurdoch.co.uk. We are proud to collect donations for German Shepherd Dog Rescue Uk in the clinics.